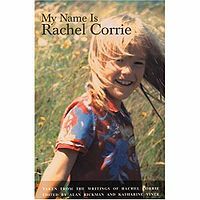 On March 16, 2003, Rachel Corrie, a 23-year-old American was killed by an Israeli military bulldozer in the Gaza Strip as she was trying to prevent the demolition of Palestinian homes. This piece of verbatim drama is based around Rachel’s own journals, letters and emails, which were edited by the actor Alan Rickman and Guardian Editor Katharine Viner. The play first appeared in 2005, has been seen all around the world, and its first showing at the Citizens Theatre, Glasgow was in 2010. Now revisited by Director Ros Philips, it’s part of an extensive Scottish tour via Mull Theatre in association with RT Productions and Sphinx. Mairi Phillips is also reprising the role as Rachel, and gives an intense and moving performance in this one-woman play. Rachel wanted to make a difference and she wasn’t prepared to watch injustices happen in the world. But this fiery student, who was on her way to becoming a peace activist, was also a young woman trying to negotiate the everyday dilemmas of growing up. The scene is set upstairs at the Tron Theatre’s Changing House space. We enter Rachel’s world, initially via her bedroom of her home in Olympia, Washington. We see the untidy mess of discarded clothes, underwear and posters pinned crudely to the wall. We see her sitting on her bed taking off her make-up, listening to pop music on headphones and singing out loud. We hear about her student life, her dealings with the sometimes confusing mass of boyfriends, friends and relationships. But her journey strays off the path of what many would consider “normal”. Not content to just read or hear the news, she wanted to experience for herself what conflict means to those who have to live with it. She wanted show communities living in troubled areas that there were people from other countries who cared about them. So Rachel’s world changed, the scene moved from her bedroom and was cleverly imagined as the streets of Rafah City in Gaza. We were in the houses she shared with Palestinian families, who gave her shelter and offered her food. The noise and glare of lights from the military were outside the front door, while she was inside snuggled under a duvet with a family watching cartoons on TV. Rachel posts details of Palestinian life on the International Solidarity Movement (ISM) website, and we are also reminded of the other life she’s left behind, through email exchanges with her parents. As the play reaches its two hour conclusion, we sense a change in mood, an increase in tension and the fear around the situation seems to escalate. This thoroughly engaging play will stay with you for a long while after it finishes and make you stop and think.